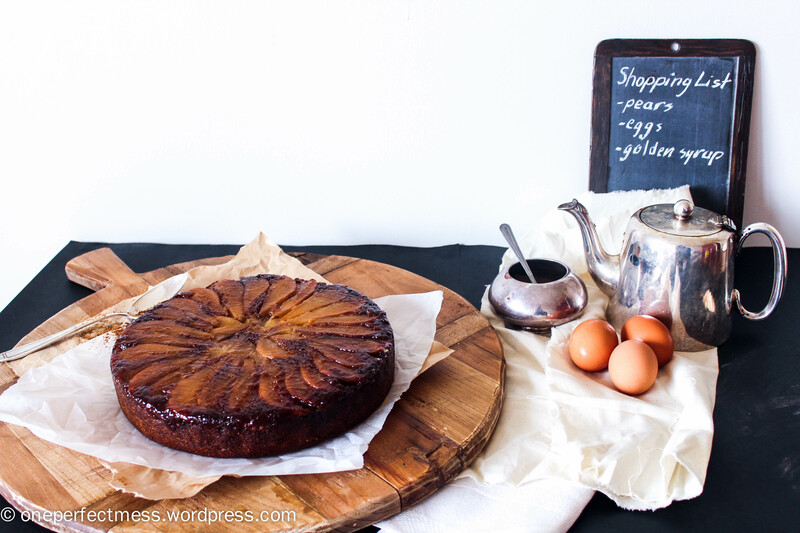 It’s a dark, wintery night and you’re cozied up on the couch, hands wrapped around a steaming mug of tea, listening to the crackling fire and the pitter-patter of gentle rain on the roof, but there’s something missing…until you pull this Caramelised Pear and Ginger Upside Down Cake out of the oven! I firmly believe that one slice of this soft, sweet, sticky cake will solve a significant number of your problems, and will be gladly received by whoever you choose to share it with. This recipe has become a favourite of mine, and I’ve experimented with it over the years to produce this fool-proof version.